elemental house. | owl's house london. What was a crumbling stone stable in the countryside of western Spain is now a totally self-sufficient family home. Too remote to be connected to an electrical grid or water supply, the converted stable utilizes renewable energy sources such as hydro electricity and drinking and bathing water from two nearby streams. Deep eaves help control summer sun, large wooden shutters that slide closed like a second skin cover the windows at night to trap the daily solar heat gain. The rustic stone of the exterior was restored using cement and local stone. Windows sit within deep recesses and can be screened behind large wooden shutters, referencing old stable doors. 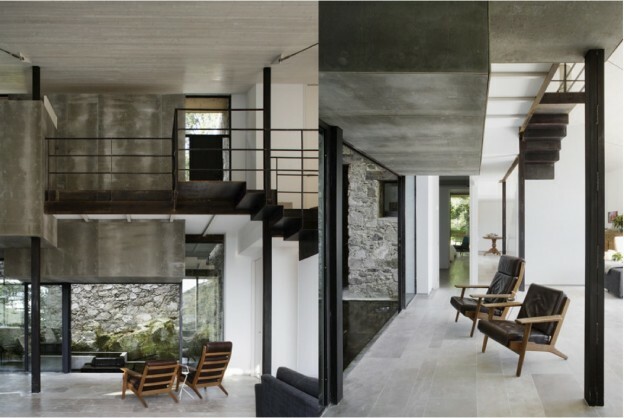 Within, floors are limestone, walls of exposed concrete are interspersed with slender metal posts and pale wood-lined ceilings rising to form double-height spaces. 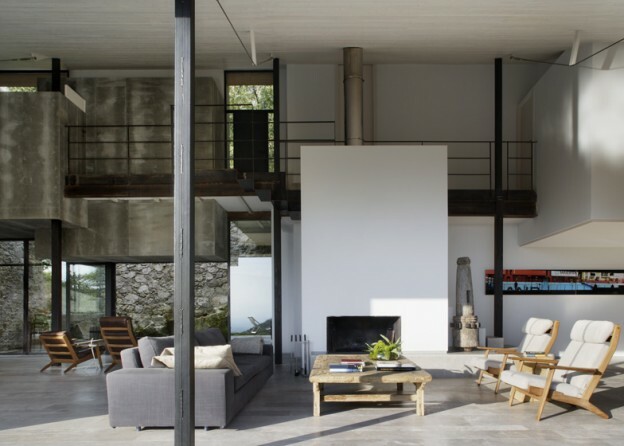 The internal structure of iron beams, metal posts and corten metal landings and steps are kept deliberately light and elegant. Internal interventions – kitchen units for example – are simple, white and linear. The kitchen bench top extends the length of the main room to form a table for dining, flanked by classic wishbone chairs and minimal black stools. 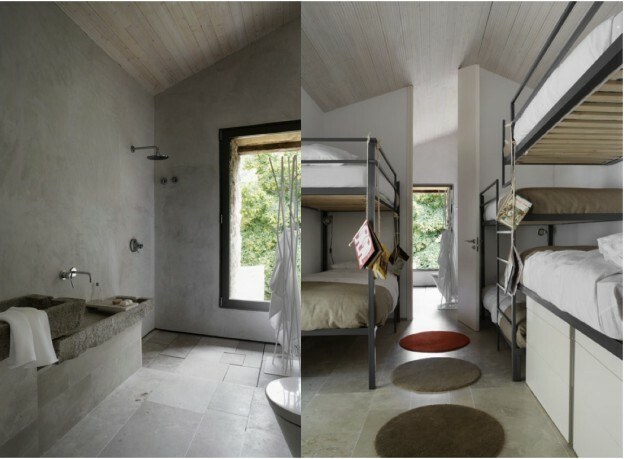 Did you notice the books hanging from the top bunks to allow easy reach? 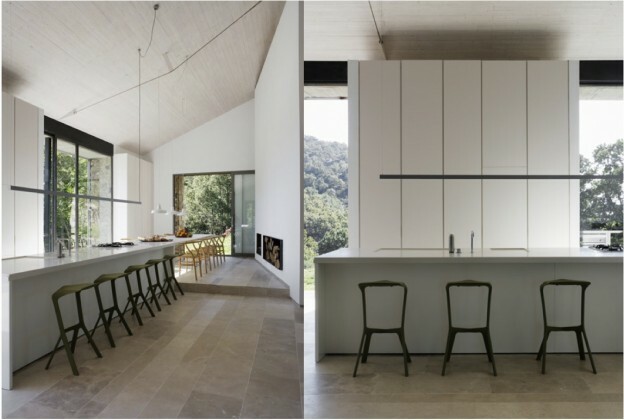 Off Grid Home in Extremadura by Abaton Architects, here. This entry was posted in wonderful spaces. and tagged Abaton Architects, architecture, corten, interior, stable on July 23, 2013 by owls house london..